NEI Global Relocation has been helping employees move nationally and internationally since Mid-1980. The company’s goal is to expertly relocate employees with a personal touch. With the company’s focus on doing the right thing, Kate Dodge has helped to shape the company into an ethical leader for the Omaha community. We had the esteemed opportunity to go to NEI headquarters and interview Kate at her office. Tell us how your past has shaped you into the ethical person you are today. I grew up in Boston in the 1940’s and 50’s which was a time when people thought they knew right from wrong. It seemed to be more of a black and white era than today’s society. I lived in a community that was somewhat homogenous so there weren’t as many questions about differences as we face today. To some degree, I grew up in sort of a cocoon. However, that environment gave me a sense of security and helped to shape my belief in the difference between right and wrong. I think I learned from my parents, my schooling and from, frankly, my experiences. In some ways I believe I entered the world of work somewhat naively and unrealistically. However, I have always felt that I did know what the right thing to do was and what the wrong thing to do was in most situations. The other thing that I would add was that I had a religious upbringing that stressed religious concepts from an ethical perspective. I don’t believe that the particular religion is as important as the fact that the individual internalizes the ethical values from his or her religious beliefs. How did you end up living in Omaha? I ended up living here in an interesting way. My dad and my husband’s dad graduated from Harvard University in 1933. My husband’s dad moved back to Nebraska while our family remained in the Boston area. Twenty five years later, we met at our fathers’ 25th year reunion. At a Harvard reunion, the Harvard alums go for 5 days with their whole families. The family stays in the dorms at Harvard and participates in planned activities for each age group. When I met my husband, he told us that he came from Omaha, Nebraska and, frankly, I was not sure exactly where Omaha was. I knew it was west of Chicago and maybe east of Denver but unfortunately is those days New Englanders were very parochial; they knew the east and west coasts, but little about the middle of the country. After we were married we moved to San Antonio, TX for a couple of years while he was in the Air Force, then moved to Omaha and have been here ever since – and I’ve found it a wonderful place to live and work. How did you end up in the relocation business? I was an educational psychologist for seventeen years and my husband was in the real estate business. He began developing a relocation company that would be national in scope and he thought perhaps that I could join this new venture because of my background in psychology and experience in working with children and families who had experienced multiple relocations. Many were the children of Air Force families who moved every couple of years and some did very well with it while others had a difficult time adjusting. My husband felt that he had a good grasp of the hard financial issues of relocation but not necessarily the people issues and also the need to hire and create a culture and to work with individuals within the company who could be empathetic and supportive of families in transition. I took a leave of absence from what had been my “real job”, and then a second year’s leave of absence and have been here ever since. It’s been wonderful professional experience. Do you think that there is a different ethical climate in Omaha compared to other cities nationally or internationally? That’s hard to tell. I have only worked in Omaha.  We work with companies across the country and increasingly across the world, but my personal experience as a psychologist and in the business world has been working in Omaha. However, there might be something to that.  I remember hearing when Bob Bates, the Chair of the Greater Omaha Alliance for Business Ethics, retired from Lincoln Financial, some of the management team came from Philadelphia to Omaha and appeared to recognize the business climate here by saying how much the company has enjoyed seeing how business is done in Omaha, Nebraska. The speaker talked not only about Bob as a great leader and ethical person but also appeared to be generalizing about the climate of business ethics in Omaha that maybe they didn’t experience in other parts of the country. And perhaps that’s true; I don’t know. But it certainly has been a good place as far as I am concerned to run a business ethically, to grow a family and to live. While both of my parents were role models, in terms of business and business decisions, I believe my dad was most influential. First of all he emphasized performance over wealth. Wealth was not an end in itself; rather doing the best you could in any situation and doing it in the best way and doing it ethically was. I saw him demonstrate that over the years. My dad was, among other things a professor of journalism at Northeastern University, the Sports Editor of a Boston newspaper and the volunteer director of the Boston Marathon for many years. In the early years, women and men could not compete in the same athletic events that were sanctioned by the Amateur Athletic Union. My dad was a person who believed in following the rules but he also believed that when a rule needed to be changed, he would work hard to change that rule but do so in the way that he felt was the right. So when women jumped into the race without permission, his reaction was to not allow them to be recognized as sanctioned competitors, but rather to work through the system to change the rules. One of the first women who had broken the rules was the great female runner, Katherine Switzer who eventually worked with him to change the rules so that women could participate in the amateur events with men. I saw him treat her with respect and they grew to have a wonderful working relationship because of the way he treated her throughout the process. The same trait was demonstrated when a woman named Rosie Ruiz entered the race then bypassed parts of the route but ended the race as the winner in the women’s division. At that time there was no way to instantly track whether she went through all of the checkpoints, and although he didn’t feel she was the legitimate winner, he treated her with respect until they could prove she wasn’t the winner and then moved on and crowned the actual winner once the evidence was in. He received a lot of negative publicity at the time from the media. However, he did what he thought was right in terms of the treatment of a person and demonstrated to us, I believe, how to behave. I am not sure if this is the best piece of advice but it’s a memorable one. He frequently said when you are trying to decide what to do in a difficult situation, “first ask yourself, how you would feel about that decision being on the front page of the Boston Globe – in the headlines of the Boston Globe.” In some ways there are some negative aspects of that, but it sure makes you stop and think. I think the most rewarding part of my job is seeing the growth of the people that I work with and seeing their accomplishments. We have some wonderful long term employees. The person who runs our closing department, for example, started out working an administrative-like job and she has worked her way up through 4 or 5 different positions. One of our operations managers started here as a temp answering the telephone 20 years ago. Watching those people go back to school, get additional education, get additional certifications, and grow in the company is very rewarding. How do you maintain a good ethical climate at NEI Relocation? Through our interview process and our hiring process, we ask questions that help us gain some insight into the ethical values of people that we are hiring. We want to be sure that as we transition people into the company that they have a recognition and understanding and agreement with the ethical values and culture of the company. We want people to understand that we know that they are human beings and will make mistakes. However, covering up a mistake is a much worse a problem here at NEI than actually making the mistake in the first place. So just working all the time to reinforce that and making sure that that message gets across is the way we do business. Informal ethical training, I believe, comes from the full management team in answering day to day questions from employees that have any ethical issues involved. What is the toughest ethical issue that is facing your company today? As we expand internationally, we are working in countries where there are business practices that we would feel are potentially unethical in the United States. How do you know where to always draw the line? Just one of many examples in the United States when you are moving your household goods, moving companies come to your house, survey your belongings and give us an estimate. On the day of the move, if it is going to be more than the estimate we are called for approval if there is a differential from the initial estimate. In international moves, however, some of the goods go by air, some go by sea, but the goods touch a lot of different people on the way to the final destination. There are some foreign countries where it’s very common to pay extra money to get the move expedited. That’s a major cultural difference and we need to address the issue. We do not want to be so rigid that we don’t get the goods to our transferees, but on the other hand we need to be aware of where we need to draw the line and say “no”. That is just one example, but there are other issues for us as we grow internationally. How is NEI able to handle the balance between the best interest of the client and the ethical issues faced in your business? Our clients typically have a good understanding of the laws in the countries where they operate. We have frank discussions with our clients about the issues that arise and make what we believe is an ethical decision in each instance. Do you think that being a woman run business creates a different ethical climate than your competitors? I am not sure that it is a different ethical climate but perhaps it is a somewhat different business culture. When you look at research about women in business and what their values and priorities are, women seem to have different priorities in terms of the workplace than their male counterparts. Sylvia Ann Hewlett did a study in the early 2000s that looked at women who had ramped down their careers to have children and then had difficulty getting back into the workplace. She looked at the priorities that these women had in the workplace and found that 81% of them wanted to work in a place where they respected the other people with whom they worked. I don’t think that you would typically find that sort of an answer with men at the time. These women also wanted to work in a place where they could give back to the community. I think a lot of them, while they were ramped off, had gotten involved in community work and they wanted to be able to continue doing that when they got back into the workforce. Another interesting finding was that women were very interested in working in teams. As a result of these priorities of many women, a woman run company is more likely to reflect them in its culture. How do you keep from damaging your ethical reputation? I think you have to be very careful. It takes a long time to build a positive reputation. And in business and probably in life, especially if it gets spotlighted, your reputation can really be damaged very quickly through an ethical lapse. If you are thinking about making a decision, and something is telling you it isn’t right, you had better slow down and really try to be sure of your decision. Do you have any other examples of where NEI Global had to do the “right thing”? Because of the multiple billings to our clients, it’s not unusual to have a company pay twice for something. The right thing to do is always to send it back without any discussion. A little tougher one, we found that we had not been crediting a company for some payments due back to it for a period of months and it had gone unnoticed. We brought the matter to the attention of the client, paid the full amount plus interest and, I believe, increased the client’s confidence in our integrity. What kind of social responsibility programs or projects are you and your company involved in? In terms of social responsibility, we take a percentage of our profits every year to give to non-profit organizations in our community. Moreover, we have several company-wide initiatives to help the community in which we live and work. One such initiative is a project with Rebuilding Nebraska which involves a group of people in our company refurbishing and renovating houses belonging to elderly or needy citizens in Omaha. The employees contribute their time and abilities to do our version of a complete home makeover. Some do the actual work; others donate household goods that these people may need. We encourage employees to do other community work and to be involved in not-for -profits. We believe that community involvement is an expectation for all businesses. Do you have any favorite ethical books? The Harvard Business Review on Business Ethics – it’s a wonderful book given to me by Dr. Beverly Kracher of the Business Ethics Alliance and Creighton University, who, by the way has been very influential in raising the issue of business ethics in our community. This is a wonderful book that has essays from the Harvard Business Review on different aspects of corporate ethics and corporate responsibility and it put the whole topic of business ethics in a different perspective for me.